These numbers do not include blankets collected and distributed at the January meeting. Thank you to everyone that donated time, talent, resources and supplies in 2010! Our blanket collection/distribution goal for 2011 is 5,000 blankets. 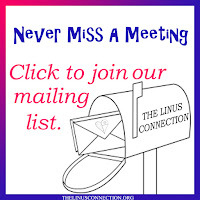 The Linus Connection is a Federal 501(c)(3) organization. All donations are tax deductible. If you made blankets for Linus in 2010 and need a receipt, please contact a Board Member or stop by Honey Bee Quilt Store Monday, January 17 or later and ask for Osie or Jennifer. They will have a list at the store of everyone that donated in 2010 and can give you a receipt. The Linus Connection cannot put a value your donations for you, but there are some good resources available that can help. Learn more about charity donations on about.com or visit itsdeductible.com as an easy way to keep track of your donations throughout the year. When calculating the value of your donation, please remember that volunteer labor is not tax-deductible. During tough economic times, requests for blankets go up and we want to fill that need. 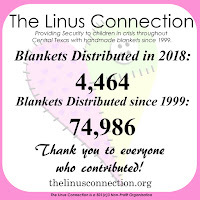 Please consider helping us reach our goal of providing a handmade blanket to every child in Central Texas that finds him or herself in a crisis situation. The Linus Connection is need of quilters, knitters and crocheters. 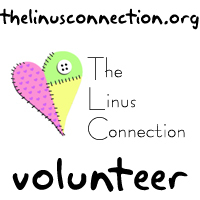 If you have a friend or group that you think might be interested in volunteering either short or long-term, please point them to The Linus Connection. 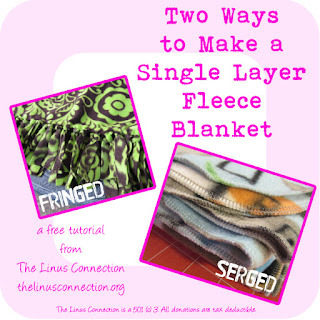 Whether you can make just one blanket or many, Linus needs your talents! Do you know a student that needs volunteer hours? The Linus Connection is a great way to give time to a charity and earn those hours! For more information on When and Where we need volunteers, please visit our website. The Linus Connection Library of donated books is now open! There will be select books available to check out at month meetings or you can request a book online. Please be sure to read the library guidelines before requesting a book online. This information is available both on the Library book list page and on the request form page. Donations of easy quilt, knit and crochet books are still being accepted. Please make sure books are at least 80% quilts or afghans that are appropriate for Linus blankets. And remember, the easier, the better! Can't find what you're looking for on the Linus website? Fear no more, we now have a search option available on every page! The search feature searches through all pages of linusconnection.org. Still can't find what you're looking for? Try the search feature on our blog, which will search all entries on linusconnection.blogspot.com. 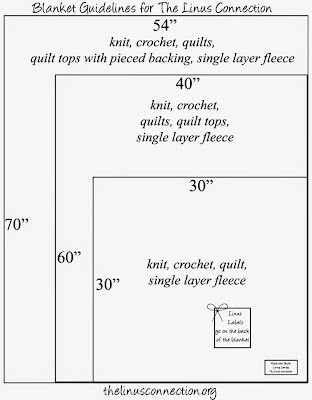 Do you have lots of fabric squares, but feel uninspired to use them? Try this simple but fun technique explained in this short video tutorial starring Suzanne McNeill of Design Originals and turn your simple squares into a fabulous quilt for Linus! Blankets were shown and donated on January 15, 2011. They are not necessarily being shown by the person that made them. We encourage you to join us at our monthly meeting and participate in Show and Tell at 10 a.m. A free demo follows. The January demo was a quilt called Wickedly Easy (free pattern) from byAnnie as demonstrated by Sharon Weaver. You are doing such a great job in keeping up our web site. It's a pleasure to see all the wonderful pictures and information. Thank you for all your hard work.